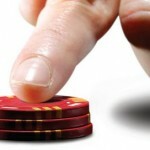 Submitted by Steve, this article belongs to the Poker Strategy series. If you’re interested in poker strategy against short stacks, you might also be interested in an article I wrote about Poker buy in strategy – full vs short stack. When we discuss playing strategy against a short-stacked player, we need to specify whether it’s a tournament or a cash game we’re talking about. The difference is quite tremendous and I’ll get into why that’s the case shortly. Cash game short-stacks are of two types: players who don’t know better, and players who try to capitalize on the fact that they can destroy their opponents’ implied odds-based strategy by taking a short stack to the table. When you play against a short-stack, you’ll enjoy a certain advantage over him, an advantage given to you by the size of your stack. There are certain disadvantages to this one-sided match-up too, which means that you will have to adjust in order to optimize your chances. The first adjustment you need to make concerns your starting hands. 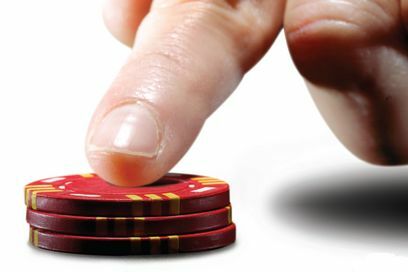 Against fellow large-stacks, implied odds hands like small pocket pairs, suited connectors and suited one-gappers are great. Such hands can make you a ton of money over the long-run, even though putting chips into the middle on such hands may not seem like a great idea from a strictly mathematical perspective. Because of the fact that the few times you improve your starting hand you stand to make much more money than what you lose over the hands in which you do not improve, the implied odds bail you out and give perfect sense to playing such starting hands. In the case of a short-stacked player, your implied odds are killed. The whole point of playing starting hands like the ones I listed above, is to hit a set/straight/flush with them and to get your opponent all-in. If you get a short-stacked opponent all-in though, all that you’ll win is satisfaction, because his stack will simply not be large enough to make up for the money you lost playing implied odds hands. To find out more about the implied odds, take a look at some strategy articles or a poker forum. For the purposes of this article, knowing this much is well enough. You need to make your reads on your short stacked opponent, and what you can do basically is just to play good old ABC TAG poker against him. Try to get him to commit on hands in which you have the edge. Starting hands like high pocket pairs and A,K, A,Q should be fine, but you have to be prepared for flipping a coin with him for his stack. The reason why you need such solid starting hands against the short-stack is that in a cash game, the short stack can afford to be extremely tight, and that you will not play a whole lot of post flop poker against this guy. If he commits preflop, chances are high he’ll end up shoving all in, that is he doesn’t do it from the get go. Against a tournament short-stack, the situation is as different as can be. This guy will be under constant pressure from the ever escalating blinds, and therefore, he will not be able to play it as tight as he would like to. He will eventually be forced to shove all-in on a sub par hand, and you should be there to pick up the proceeds. Tournament short-stacks (especially in SNGs) are often ganged up on, so they really need to get lucky several times to turn things around. Your starting hand selection against a tournament short-stack should loosen up. Sometimes, you want to make the call, if for no other treason than to just add another hand that goes up against the short-stack’s do or die one. Sign up for a rakeback or a poker prop deal too. Whether you’re playing short-stacked players or large stacked ones, rakeback will help you make the most of the time you spend at the poker tables.